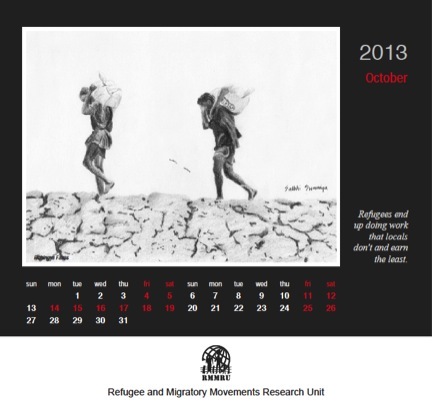 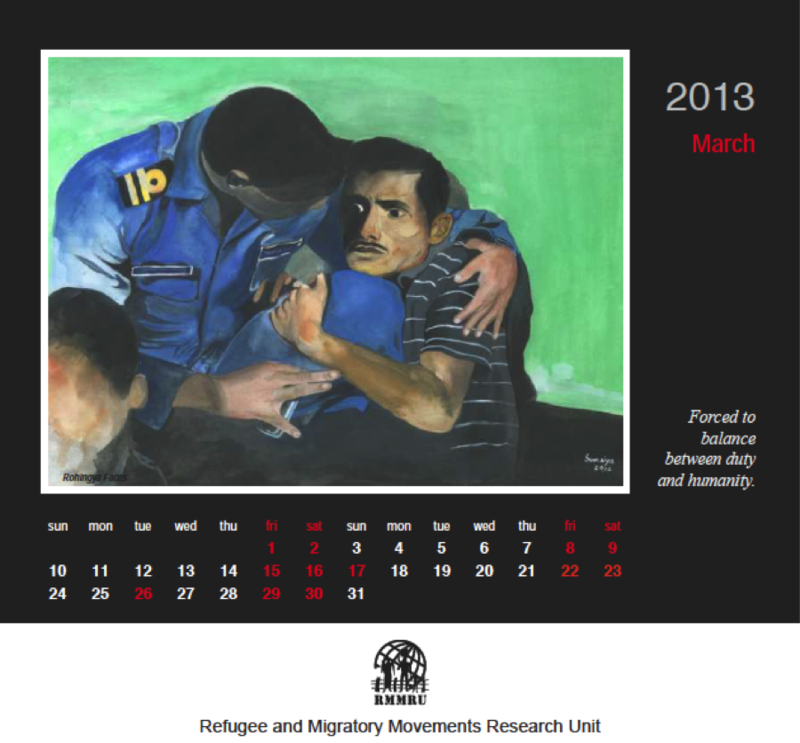 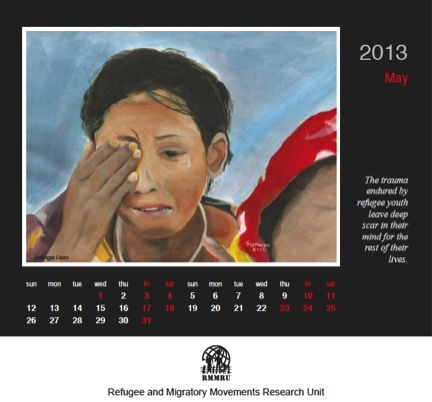 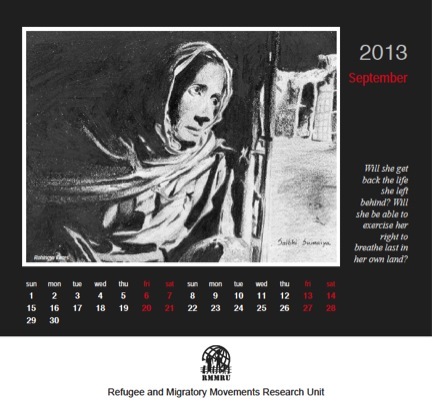 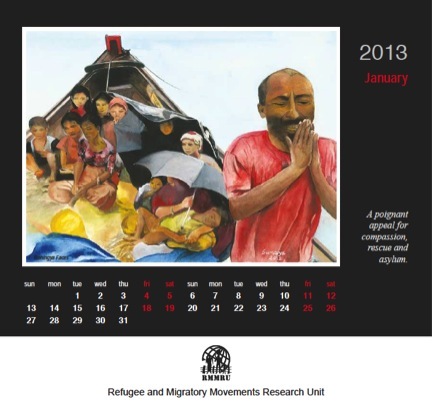 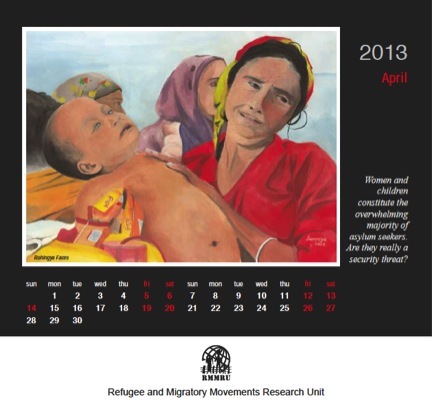 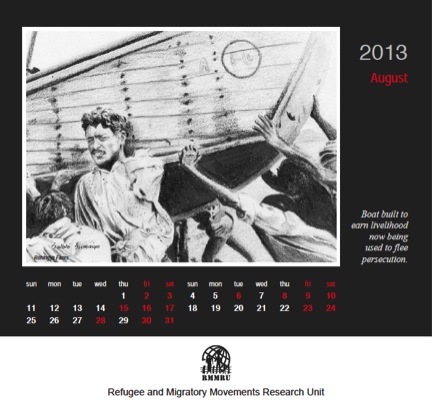 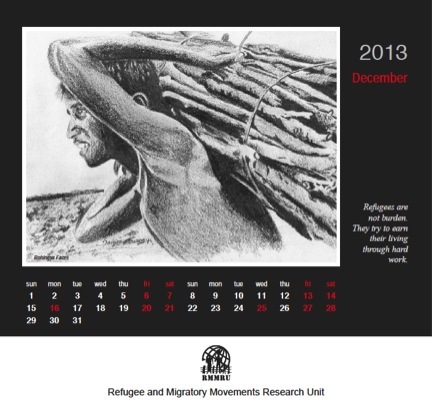 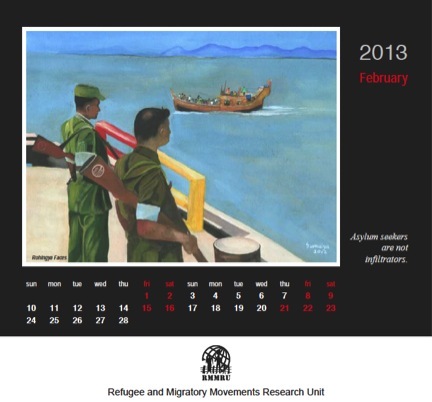 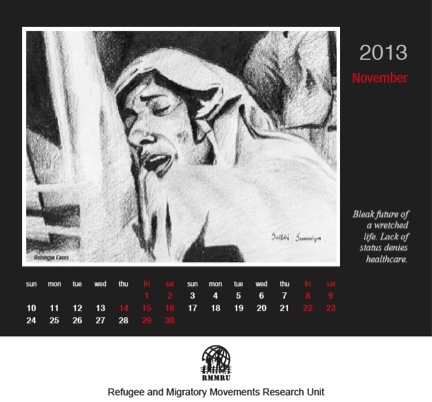 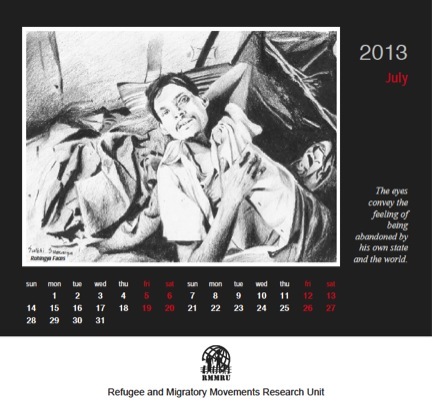 RMMRU’s 2013 calendar depicts images of the Rohingya refugee community and the political, economic and social marginalization they are facing at the border of Myanmar. 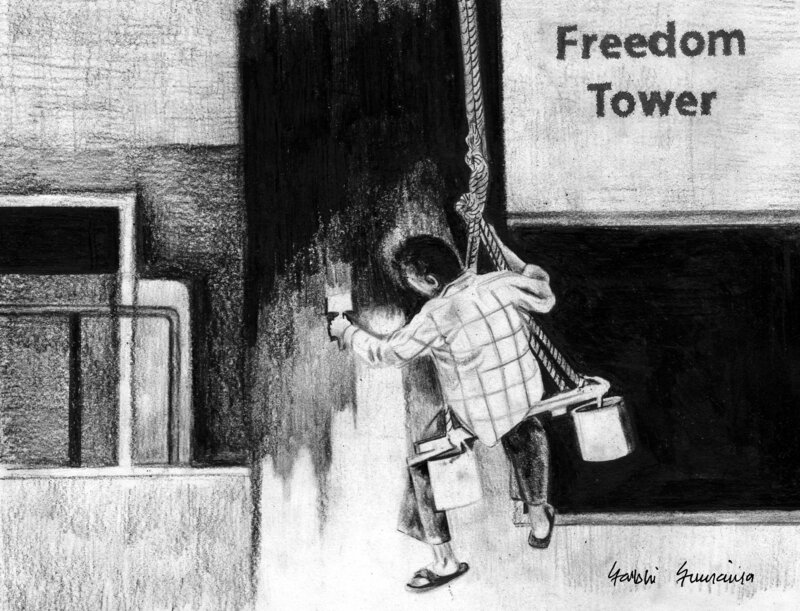 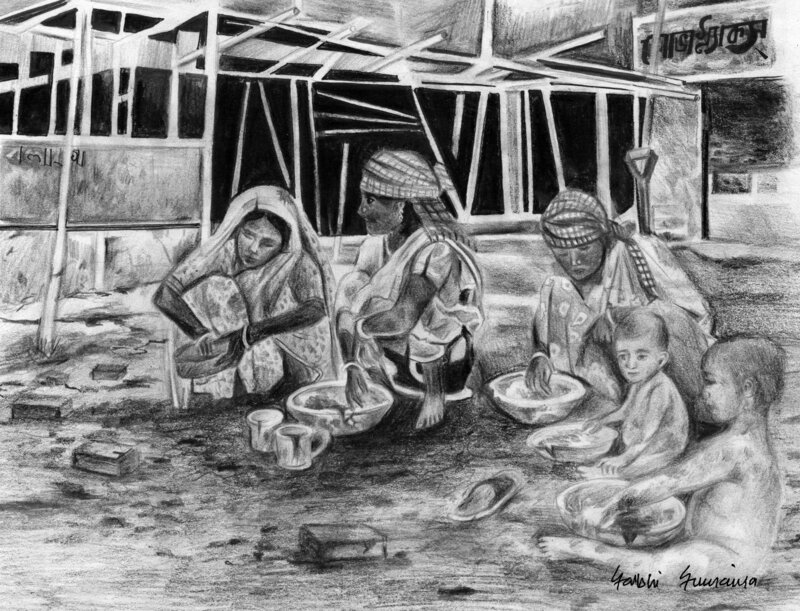 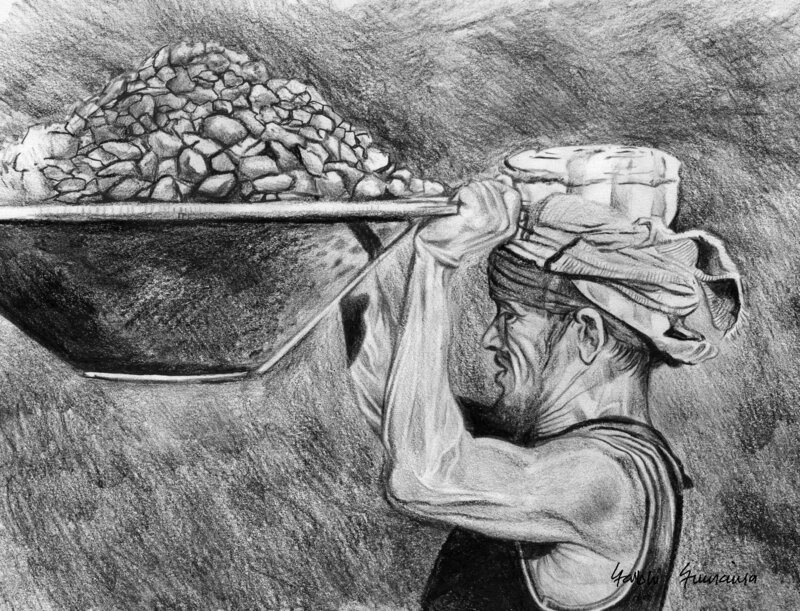 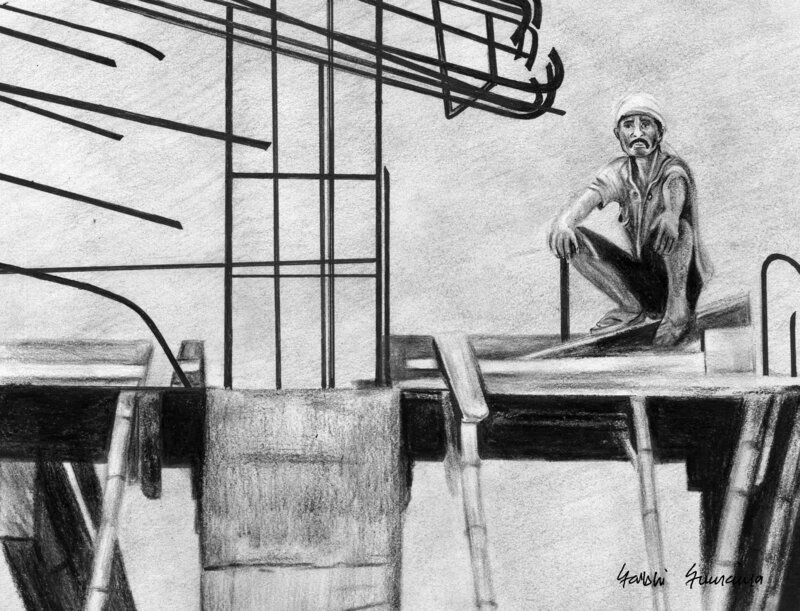 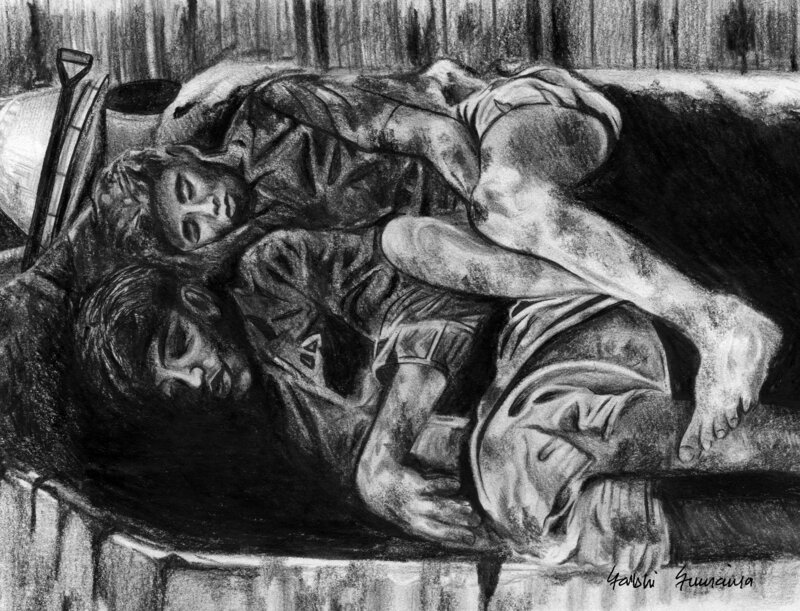 The artwork is designed by RMMRU’s graphic designer, Sumaiya, using watercolours and charcoal. 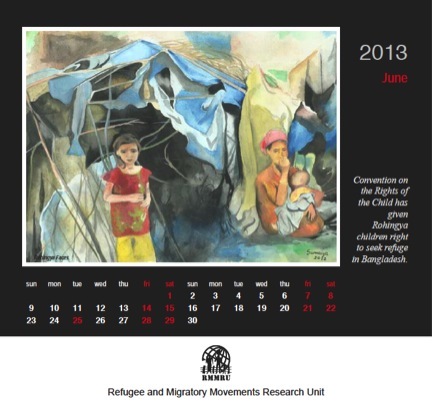 To find out more about RMMRU’s research involvement with the Rohingya community, please visit our Ongoing Research page, and visit our Facebook page for up-to-date news reports about the political situation for the Rohingya population currently. 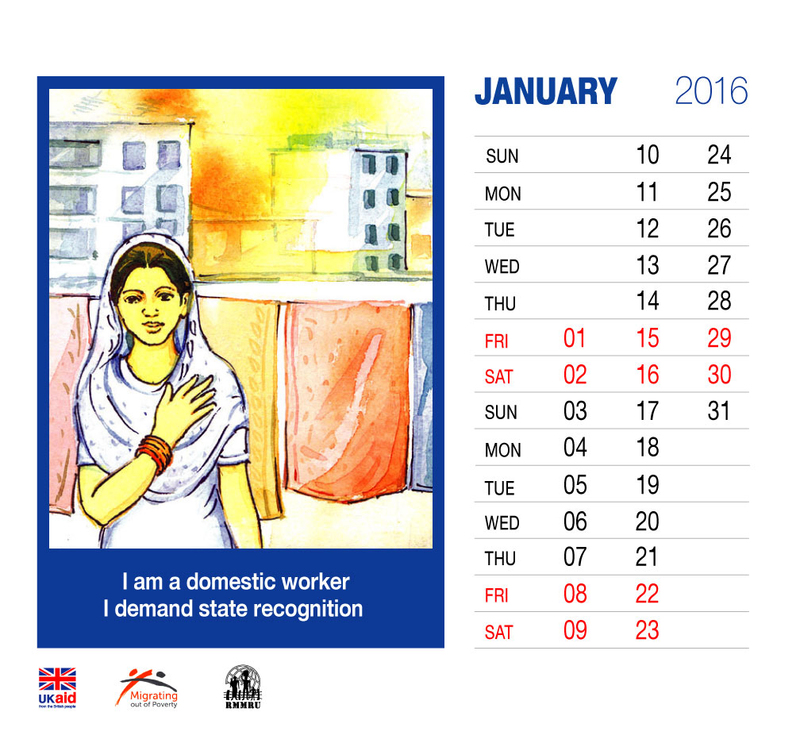 More than two million women and children are employed as domestic workers in Bangladesh. 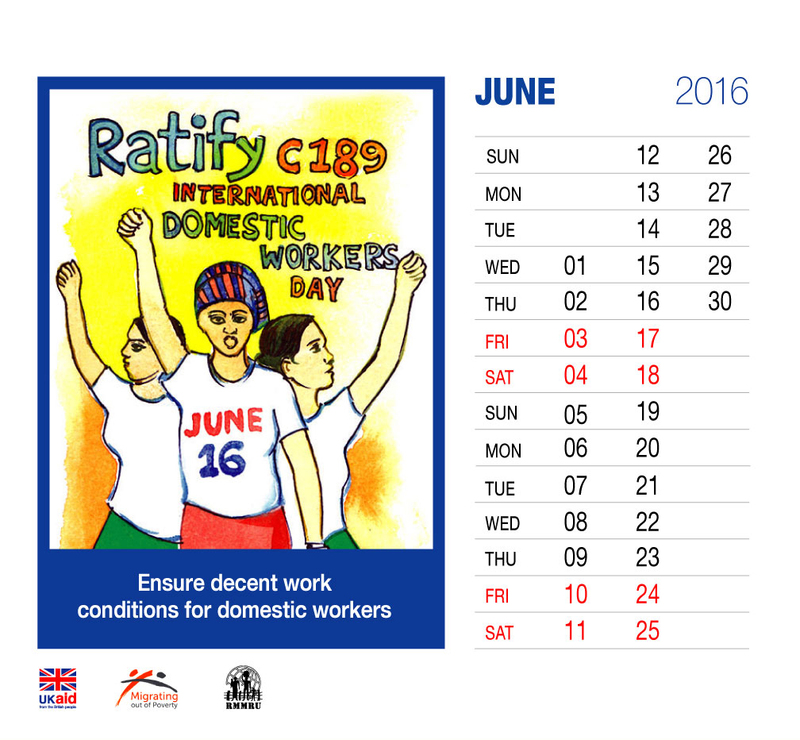 Some of them work for longer hours without proper rests or holidays. 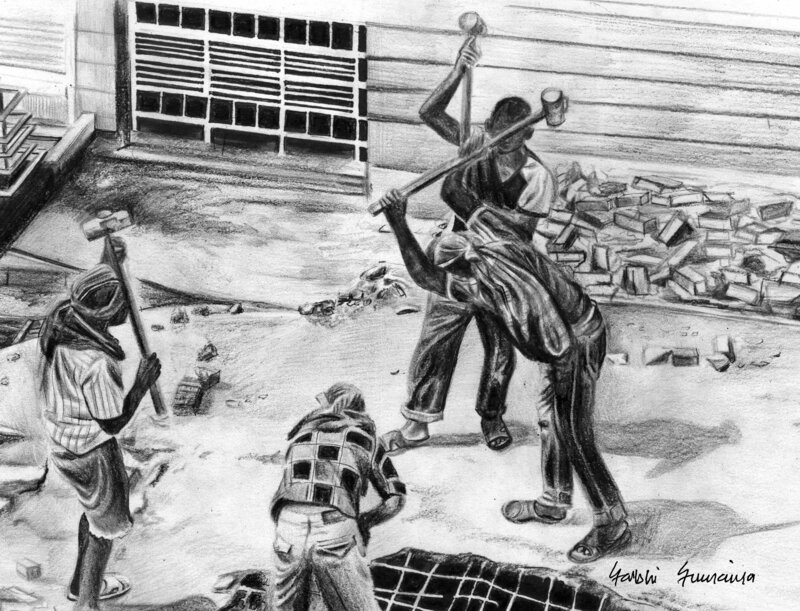 Others are exposed to verbal and physical abuses. 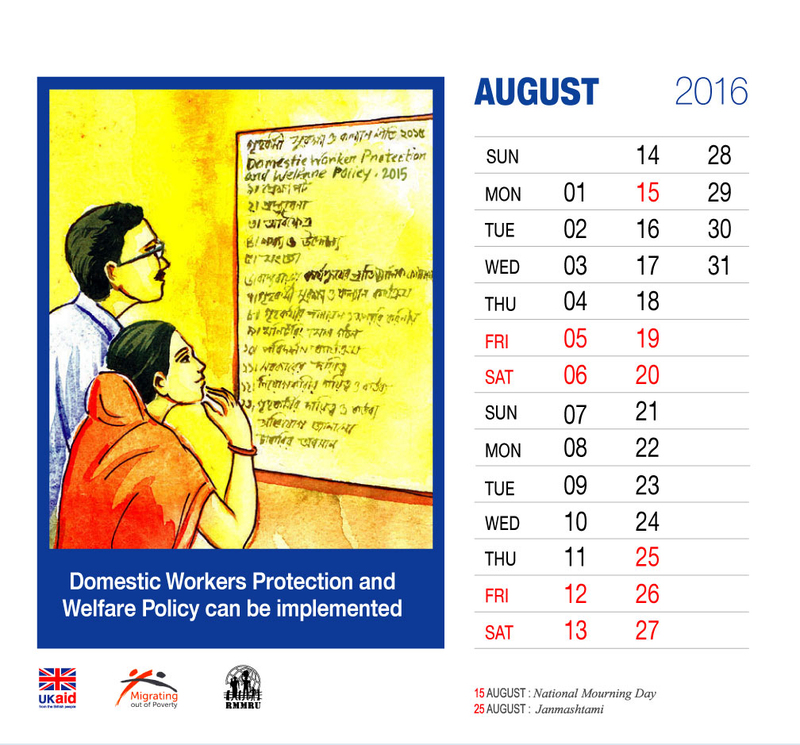 Since 2007, the Domestic Workers Rights Networks, a coalition of national trade unions and NGOs in Bangladesh, has been working whit the Bangladesh Government's Ministry of Labour and Employment to formulate a domestic workers protection and welfare policy. 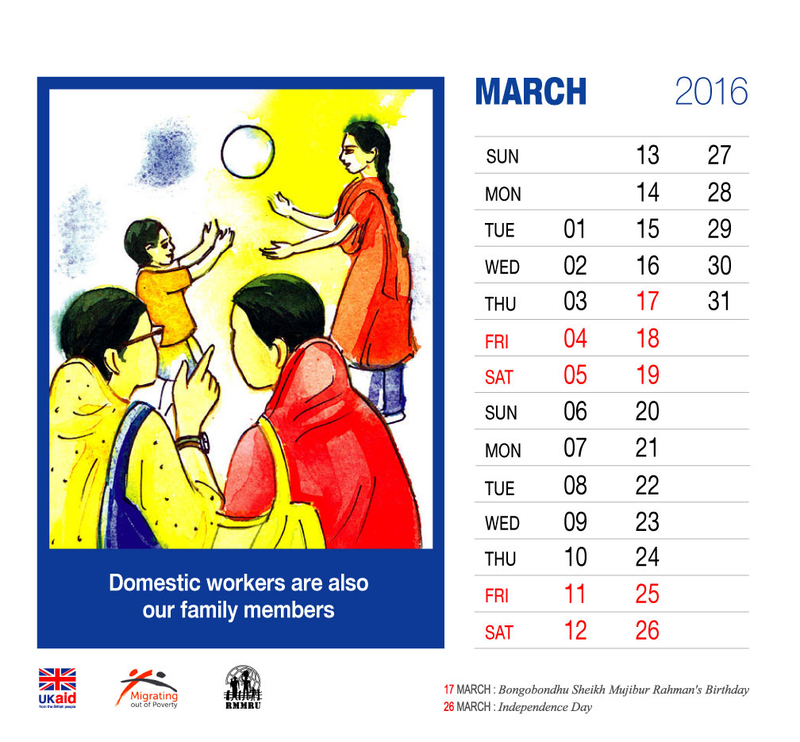 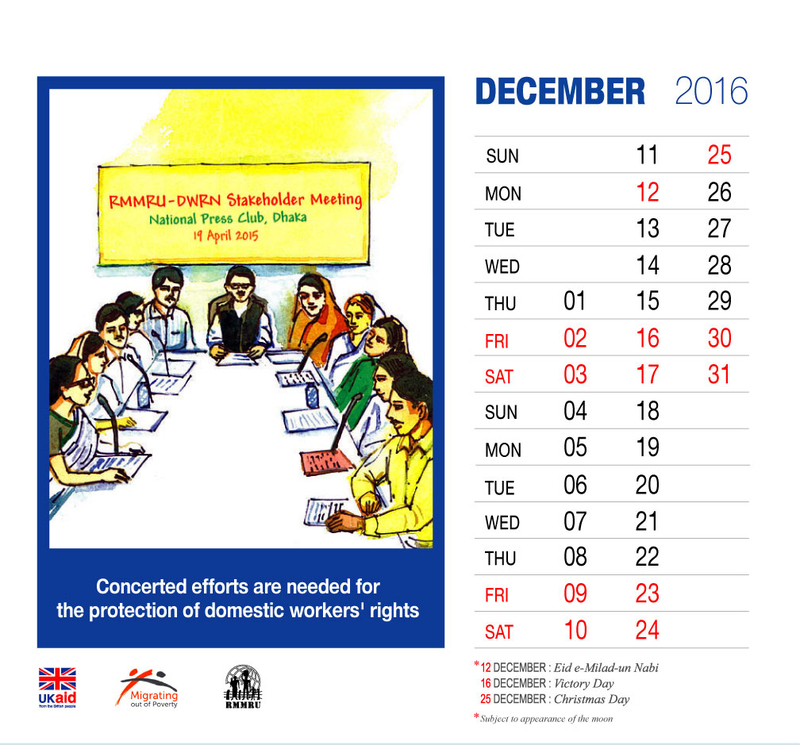 On December 21,2015, a cabinet meeting approved the domestic workers policy. 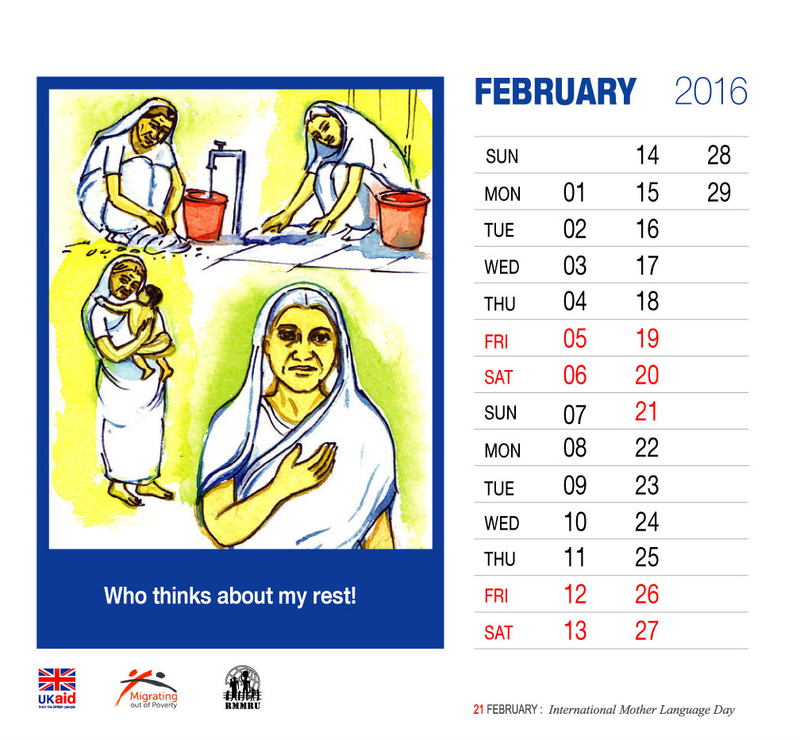 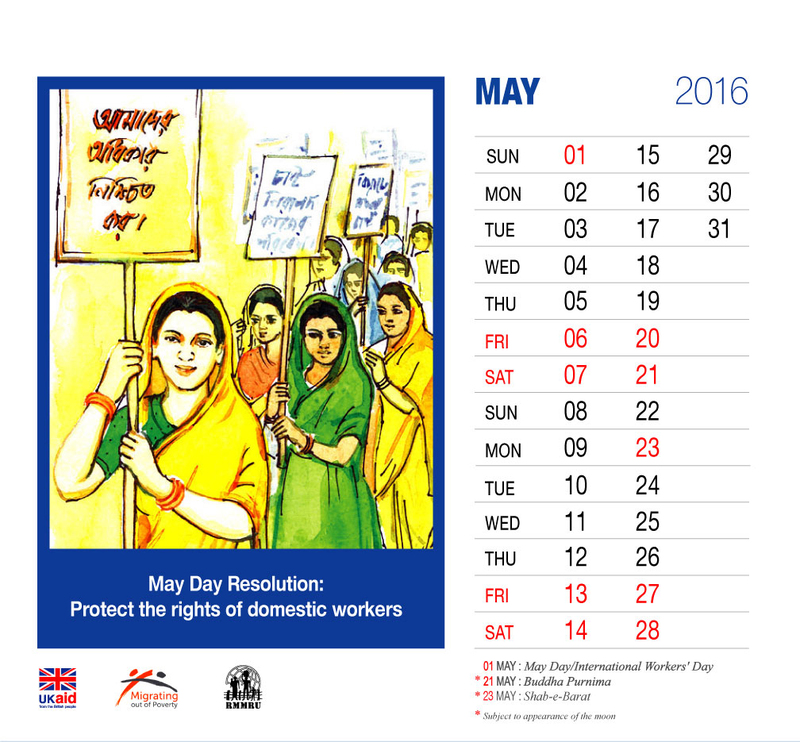 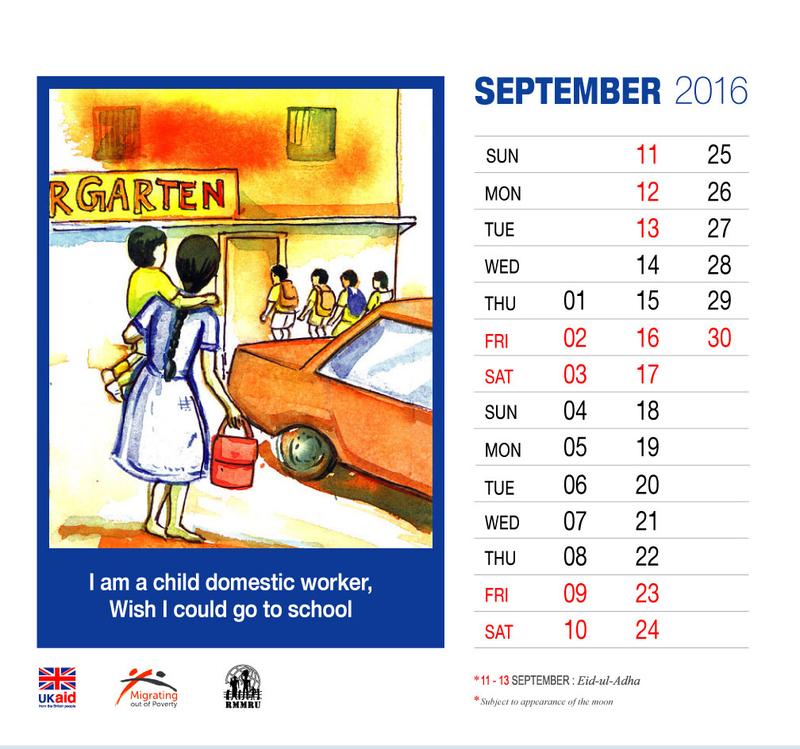 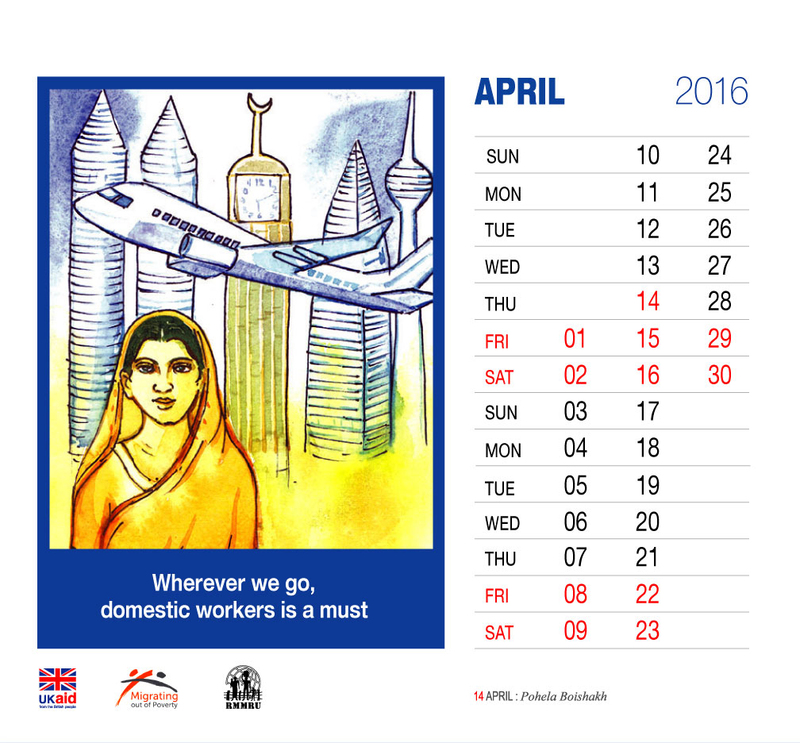 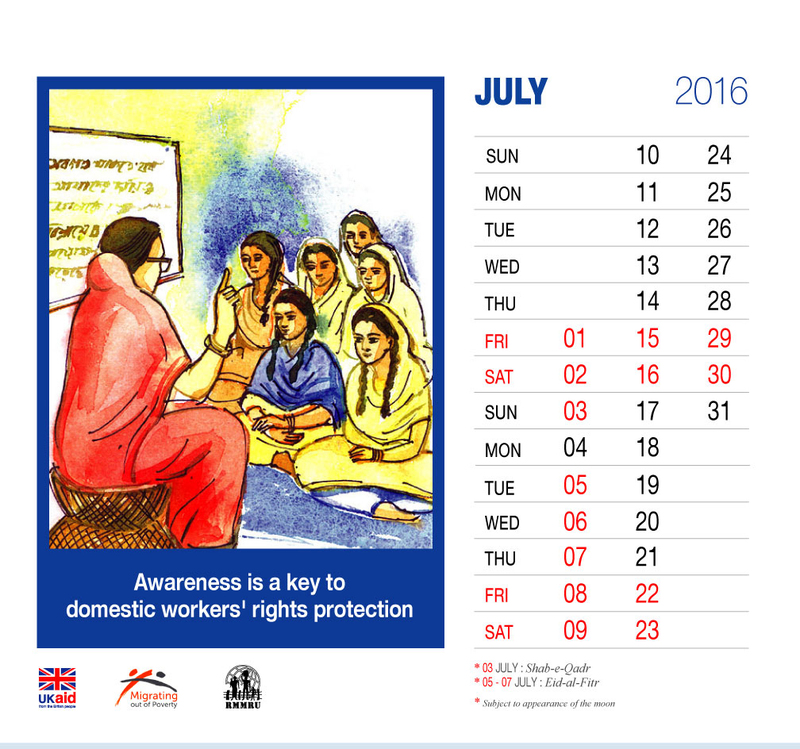 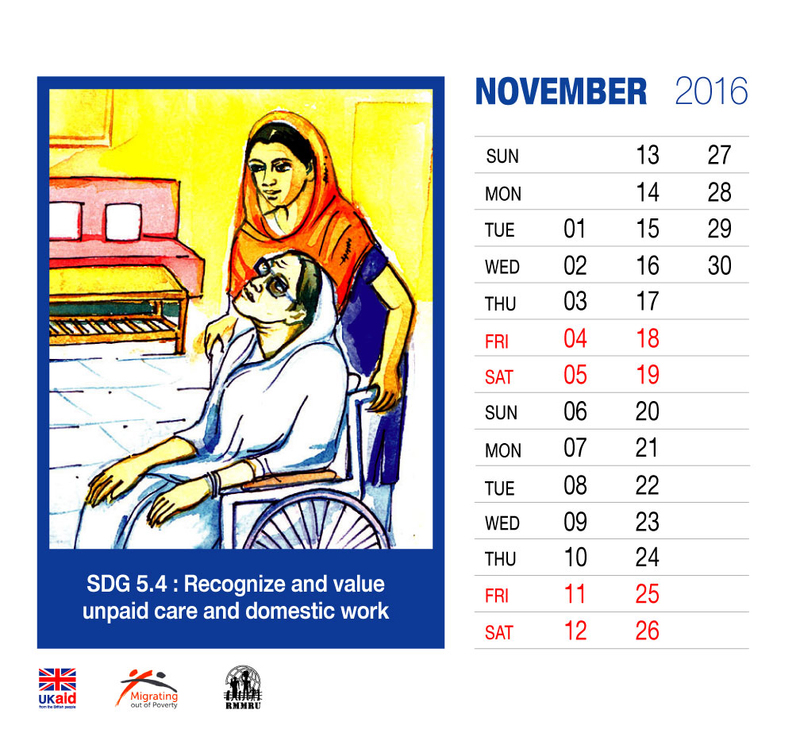 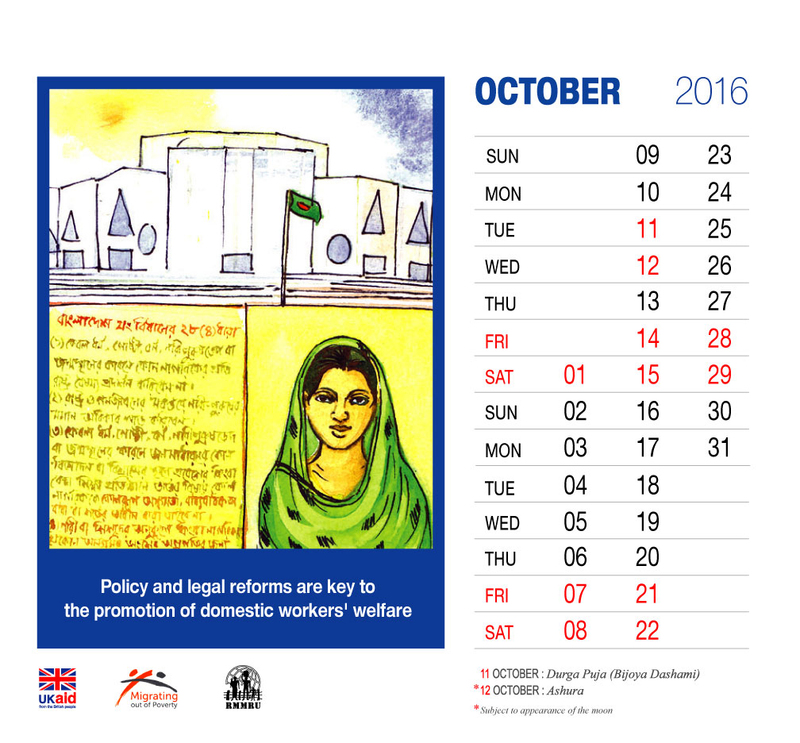 The Refuge and Migratory Movements Research Unit (RMMRU) has produced this desk calendar to highlight the positive contributions of domestic workers, to promote public awareness, and to support the implementation of domestic workers policy.